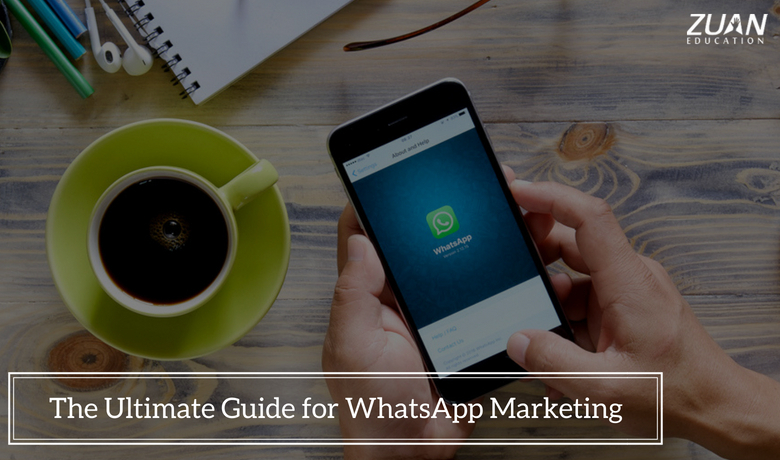 If you want to know the WhatsApp marketing strategy to grow your business and make more sales, Here’s our essential guide for WhatsApp marketing. This article will give you the deep insights about WhatsApp marketing strategy for your business. Whatsapp marketing is a modern way of marketing, where digital marketers make use of the different functions given by WhatsApp to reach the potential and clients. WhatsApp is a free mobile app that enables you to chat, call and video call with other WhatsApp users, without any SMS or calling costs. Moreover, it has proved to be an outstanding tool to increase your sales. If you are intending to launch a new product or you need maximum consumers to get informed with your services, Whatsapp marketing is a clever way to get it made. The most important reason for using WhatsApp for business is that it is already being used by many of peoples. Besides, more than 60 billion messages are sent by WhatsApp per day. Although, the users of WhatsApp and related services are ready to engage with businesses. According to Nielsen’s Facebook Messaging report, more than 67% of mobile users are expected to be more comfortable in utilizing chat as a medium to communicate with businesses in the future. Besides, around 53% of customers are ready to buy from a business with whom they can message immediately. If your consumers are young, they would be more convenient with messaging apps for their daily communication. As per the survey of Pew Research Centre, about 42% of smartphone owners aging between 18 to 29 years already utilize messaging apps in comparison to only 19% of the smartphone users who are 50 years or older. Additionally, the messaging apps like WhatsApp include magnificent engagement rates. Almost, 98 percent of mobile messages are opened and viewed amongst which 90 percent are opened within three seconds of being received. Almost 84 percent of online shares takes place through private channels such as messaging apps. Consequently, even if you are not utilizing WhatsApp for marketing your products, your prospects will probably use it to enlarge the reach of your contents. WhatsApp marketing platform is the most favored platform marketers as its a mean of a private channel for content & message share. Moreover, it enables creating WhatsApp groups with more than 256 members. Therefore, it’s an excellent opportunity for any business. Furthermore, WhatsApp for marketing enables you to share your proposals, business news, and promotions in a few moments. It supports multimedia content so you can share videos, brochures, links, catalogs, audios, and any kind of business related information by WhatsApp. It also provides real-time direct communications with your customers, employees or audiences. The key to standing out and generating sales conversion is building a brand persona – what better way to do this than by Whatsapp! The fundamental approach to the practice of WhatsApp for promoting your business is to customize and build an attractive brand persona. As you are planning to utilize WhatsApp as a tool to reach out to your clients, they should be ready to pick out your brand immediately. So, you need to create an engaging brand persona that describes your brand with its WhatsApp number. Therefore, people don’t prefer to chat with undetermined company names. As mentioned above, you cannot push messages to customers you do no longer have a mutual association with. You must get a request from the clients to become their contact before you send them messages. To accomplish that, design an appealing promotion to gain users to share their number with you. When you add them on WhatsApp, send them the offer which they can then purchase and begin their connection with you. Moreover, WhatsApp allows you to run promotions utilizing visuals, voice notes, videos, brochures, website links related to the business, call to action graphics, coupons or helpful contents that are non-sales material. As WhatsApp’s core purpose is messaging, make your messages short & strong. Whatsapp has a 70 percent engagement rate, higher than Facebook. Therefore, you should offer users, great content on relevant topics to make sure that your clients are engaged with your business. Create a group including up to 256 clients. Provide a unique group name. Make sure that the group title reflects the name of your business. Add the brand logo as the group icon if you have one. Engage users with valuable content, freebies, giveaways, etc. Whatsapp has a 70 percent opening rate, that means you are almost guaranteed the exposure of your message if your client is on WhatsApp with you. You must be well resourced to handle consumer queries. Start a quick response to your consumer when they have tried to reach you. Make sure a dedicated person is ready to get back to the consumer depending on the traffic. Besides, ensure his performance is measured as well. For example, Reliance Brands, which deals with some of the expensive brands in India, offered consumers the choice of remaining engaged with the brand through WhatsApp. Customers overtook it up, finding out about promotions, new launches and getting brand information like pictures & videos. In a few cases, the conversion rate of customers who had been on the brand’s WhatsApp list was as high as 80 percent. WhatsApp makes your process simple to bring customer for their precious feedback after closing the deal. Although, you will get the immediate response from your consumers who will enhance transparency. It offers an easy to use, an inexpensive and expeditious platform to run some quick research. You can ask customers about the flavors they want, ask them to choose among the brand is proposing to launch with other things. Besides, WhatsApp is highly suitable for conducting some instant discussion inside within your organization. Additionally, the group discussions with consumers, employees, suppliers can be possible on time. Furthermore, such activities make a bunch of feedback & suggestions. With the feedback you received, you can respond to their requirements and support the products & services you render. Through building inventive and entertaining polls, you can easily interact with your clients. Almost, there are thousands of active WhatsApp groups functional today. The number of groups has come up today perfecting professors, students, environmentalists, socialists, housewives, corporate groups, etc. It also gives them a comfortable access to share videos, files, songs, pictures, and even contacts on a separate platform. A personalized support is more likable by a consumer than the professional or formal one. You are more expected to get consumer engagement if the support you give to customers is prompt and competent. They will be happy if their queries are answered on a preference basis getting more scores on client satisfaction. A lot of amateur businessmen have entered into the group of sales and marketing through WhatsApp as a platform. Let’s look at some creative usage of WhatsApp that may give you some ideas for your project. This ready-to-use messenger has been fervently used by many emerging and established mainstays as the simplest tool to expedite consumers. You can now order passes for parties, ask for flower delivery, do shopping or courier service using WhatsApp. A lot of restaurants and food stores have started offering their services through WhatsApp. Although, they not only provide the menu but also allow you to place an order on a single text. So, the consumers can communicate their preference directly. Nowadays, the family doctors have begun offering medical consultation on WhatsApp. Absolutely, it can not replace an in-person visit, but you can always text your doctor & ask about common medical doubts. Apart from this, the medical stores now accept photos of prescription to deliver the medicines. This will not be the same as visiting the doctor personally but would surely save time. Nowadays, there is a lot of peoples getting into the use of smartphones. Moreover, using an app like WhatsApp will cover a large number of users in order to spread awareness among people. So you can start works like this. WhatsApp was invented for mobile devices, and it also compatible with desktop devices. Accordingly, you can utilize it along with the other desktop applications for great customer support. So, your clients can reach you quickly and you can provide immediate answers. As far as communication is involved, consumers prefer follow-ups done by messages instead of direct calls. But, it is not feasible for clients to pick up calls frequently, however, a message won’t bother that much. So, start engaging your potential and existing customers through WhatsApp. Therefore, sending a short message on WhatsApp might provide you an immediate response as related to the promotional emails. To be successful in Whatsapp Marketing, you need to use all the features of WhatsApp. So, we advise you to implement the “Send exact location” function, whereby your customer gets an interactive map with the obviously indicated address and with all the amenities of Google Maps. WhatsApp is always best to build strategy based campaigns targeting small-scale audience. There are many third-party WhatsApp marketing tools and services available. These tools provide you to set up various WhatsApp accounts and groups for marketers. Here is a list of generally used WhatsApp Marketing Tools that are offering to ensure the success of a business model. WhatsApp Bulk Suite – This is a web-based WhatsApp marketing software which is utilized to send WhatsApp messages in different formats like video, audio, text, GPS Hotspot, Contact card to numerous WhatsApp users. WAPanel – It is one of the best Web-Based WhatsApp Marketing tools which lets you run WhatsApp marketing campaigns on the cloud. You can operate it from anywhere and estimate your WhatsApp campaigns to comprehensive numbers. WhatsApp Bulk Sender – It is a WhatsApp Marketing tool which allows you to find the most active WhatsApp number from your foremost list of mobile contacts. It is desktop based WhatsApp software particularly devised for bulk marketing. You can send scheduled messages utilizing Images, Text, Audio Files, Videos, and GPS Location above WhatsApp. This tool also gives you the options to change status, reply any incoming messages with automated replies, change profile photos, etc. WhatsApp Marketing Services – This tool is designed precisely to manage multiple strategies of WhatsApp marketing for small & large scale businesses. In today’s competitive market, it has become important for every business owner to use the most innovative marketing tools & strategies to promote their business. WhatsApp is an astounding promotional tool for business. Moreover, the B2B businesses make use of WhatsApp messages to reach and inform their client community. There are lots of advantages in using WhatsApp as a major marketing strategy. Whatsapp is a cross-platform communication app which makes is available almost on all possible devices. Whatsapp supports not only text but other various formats like videos, images, audios, Vcards which make it comfortable for marketers while promotions. You can grow sales in the short run and build value over the long haul. Blue ticks is one of the most innovative features of Whatsapp. It helps the marketers to track how message broadcast platforms. You can build long-term relationships with your clients through WhatsApp to get them back. Using WhatsApp, marketers can send out the multiple offers, launches, updates about the product to customers keeping them engaged all the time. Whatsapp also provides the ease to use functionalities without the requirement of any plug-ins. WhatsApp has already begun a pilot program that would emphasize a green badge next to a business contact, indicating that the business was verified by the messaging service. Latterly, the company stated that it is going to introduce business-friendly features quickly. In the future, we will explore ways for businesses to interact with each other utilizing WhatsApp, such as by transaction, order, shipping notifications, appointment information, product updates, and marketing. It is expected that within a year WhatsApp will take a strong place in the online market. Besides, some of the food stores are also intending to start their business in WhatsApp. The reasons for companies investing in WhatsApp is its popularity actually in India. The marketers should remind those unique characteristics of WhatsApp will definitely make big changes in the online business. So in a nutshell, WhatsApp is a great communication tool which has the potential to profit any business. However, it works especially well for businesses that have a global customer base. If you have an international base of customers, you could probably grow that niche by communicating with them efficiently through WhatsApp. We hope you find this blog a great start to learn & build a WhatsApp Marketing Campaign that efficiently targets and successfully converts. Are you using WhatsApp in your business? Let us know your story in the comments. With the above-mentioned steps, it is really very helpful to get all the ideas including with the Marketing features for the business purpose. and all the interested persons can deal with maintaining the principles.